A harsh bearish rally happened in USDJPY in February and made the pair to lose approximately 1000pips. Ten storm days which traders had to challenge with it. 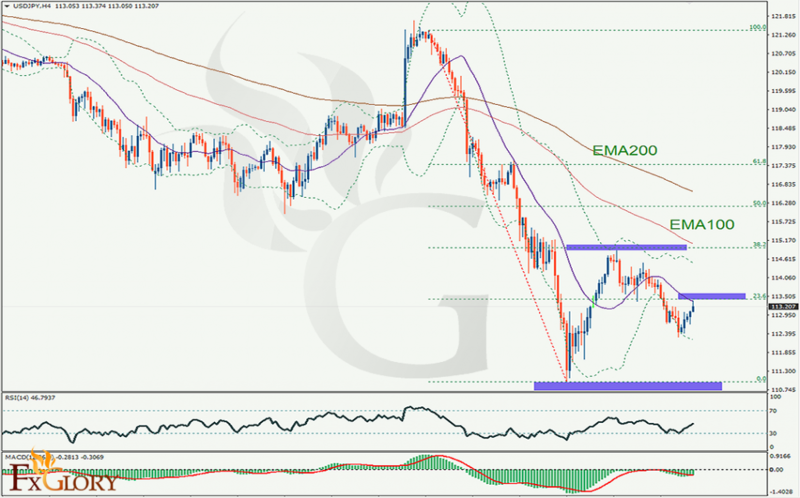 A correction occurred in first days of last week and caused the pair gain around 400 pips and touched the 38.2% level of Fibo. As expected 115.00 rolled as a resistance. The price of USDJPY almost touched this level and dropped before hitting the round number level. Considering the fact which figure shows, trend is bearish, sellers expect down move to continue below the current key level support from 111.00 but it needs penetrating level which acted very well recently. A new reversal and attack upper levels of Fibo is much more expected rather than breaking 111.00 support level this much soon.Generally waiting a little for more clear signals makes more sense.